anyways…so i went to disneyland!! and i was going to write a little about it when i got back…but then i ended up working and i just got busy and you know…LIFE. but here i am. better late than never. i hope you missed me! including me! he kill shot-ed me! so i’m dead now guys. just so you know. so we finished with venice beach after a few hours and checked in to our hotel room. took a brief nap. and then decided to go to downtown disney! we had never been down there because whenever we were going to disneyland it was always just in the parks. this time we decided to jump start our disney adventure without having to buy another ticket! i honestly have to say it was so cool! much cooler than i expected. for those of you that haven’t been there or heard of it, it is right outside of disneyland and california adventure. its kinda like an outdoor mall. there are restaurants, shops and the disney resorts are there as well. there were so many amazing places! but my favorite has to be THE LEGO STORE!! they had tons of cool disney sculptures made of legos that were incredible and ginormous! there where a few more places we went to and bought some shirts and food and what-not but thats about it for day one. 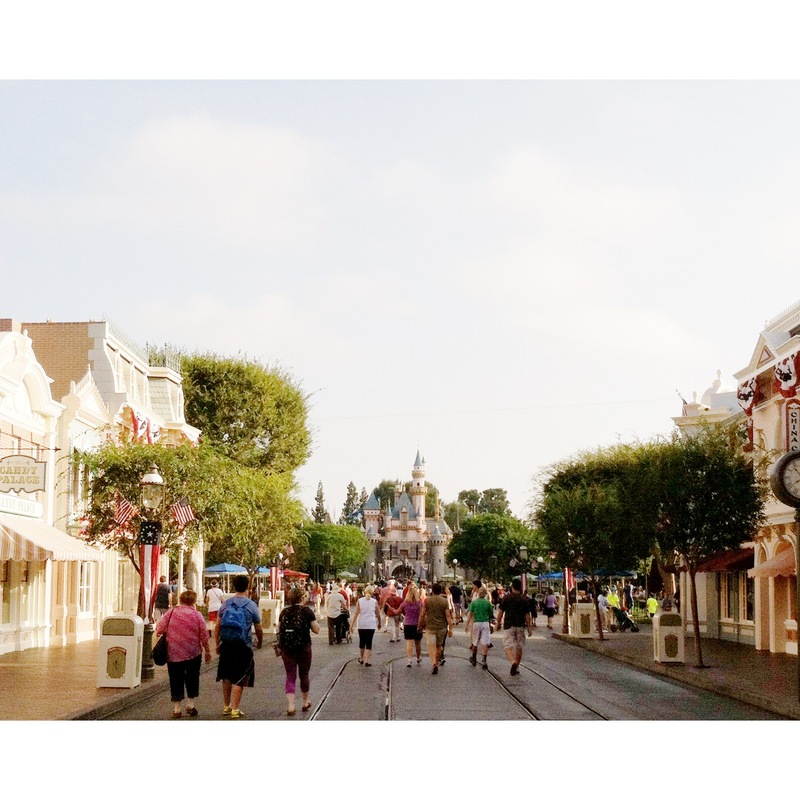 days two and three…disneyland and the california adventure consisted of riding ALL THE RIDES! so fun! 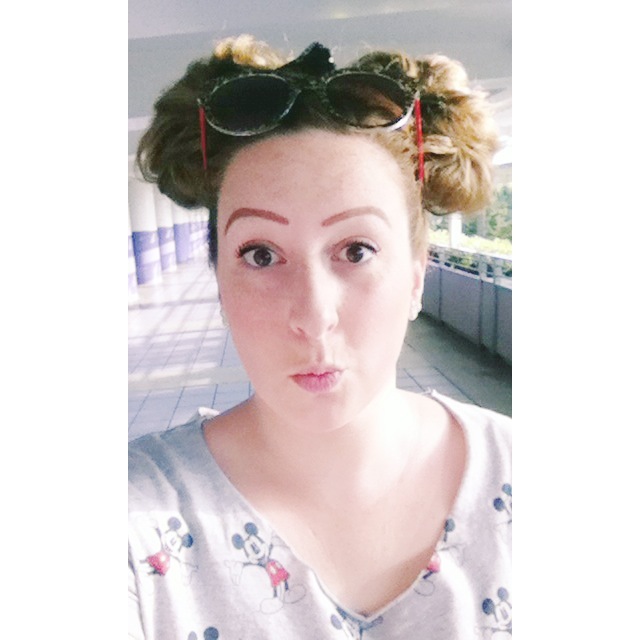 and so tiring walking through the parks a million times…if you want to see my pictures you can follow my instagram! i took some really cool pictures of the lego store. 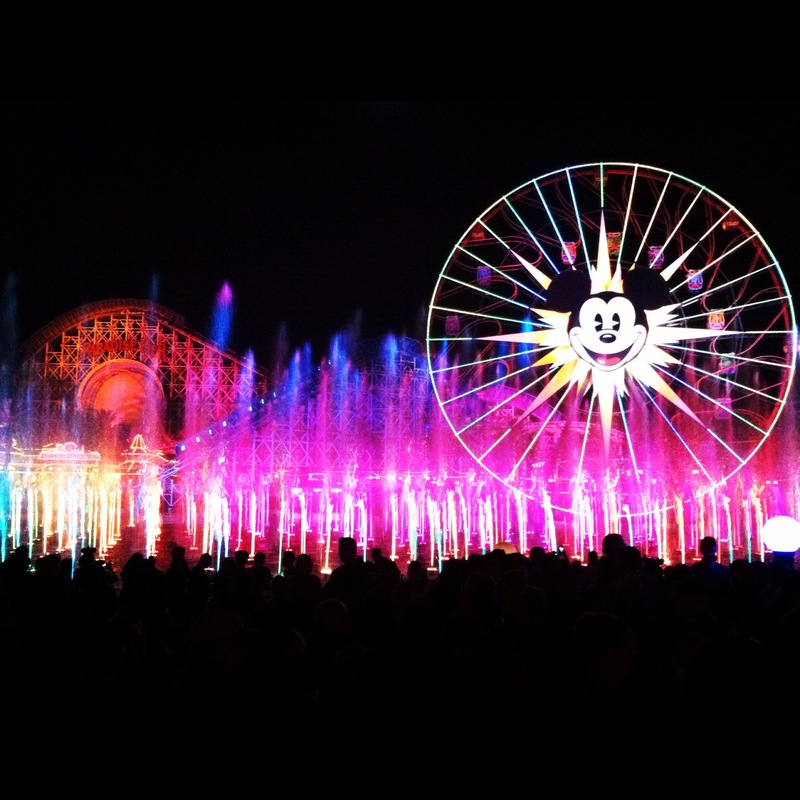 and also of world of color! i love that show. freakin amazing the things people can do with technology. things like the rides and shows just blow my mind and i think “how did someone come up with how to put this together? !” just glorious. OH! i also tried a dole whip float for the first time. if you don’t know what that is…there is a little hut outside of the tiki room and they sell dole whip floats! 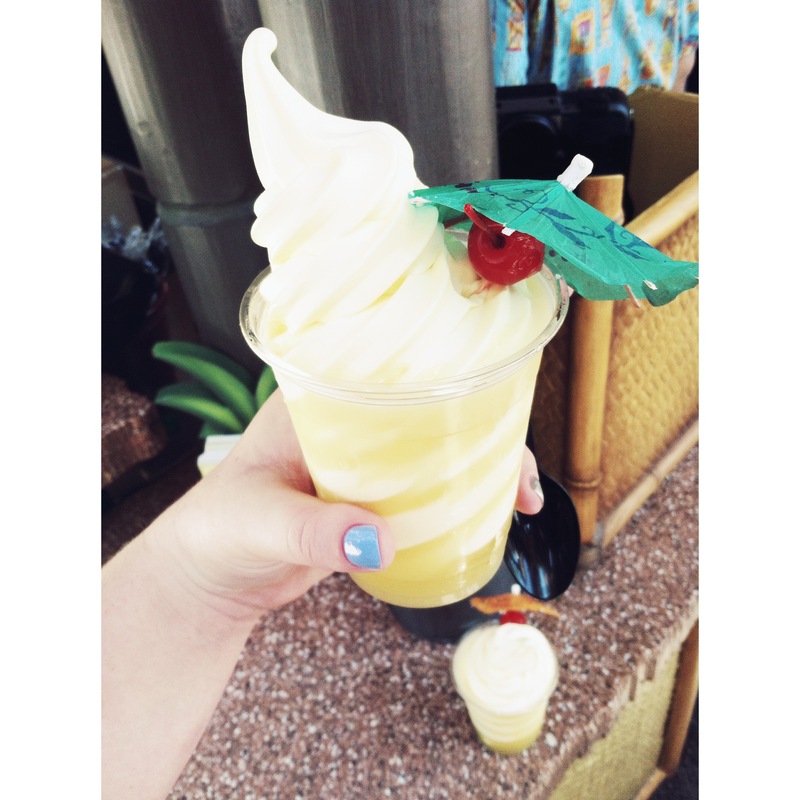 it consists of dole pineapple ice cream and dole pineapple juice…delicious!!! you can also just get the ice cream or the juice separetely. so good. i can’t say it enough. i have to say…it was a huge hit! i had dozens of people tell me they loved my hair and how creative it was and i even had a few people ask to take a picture of my hair! kinda awkward but…ok! so somewhere on the internet there are a few pictures of me that strangers posted i’m sure. 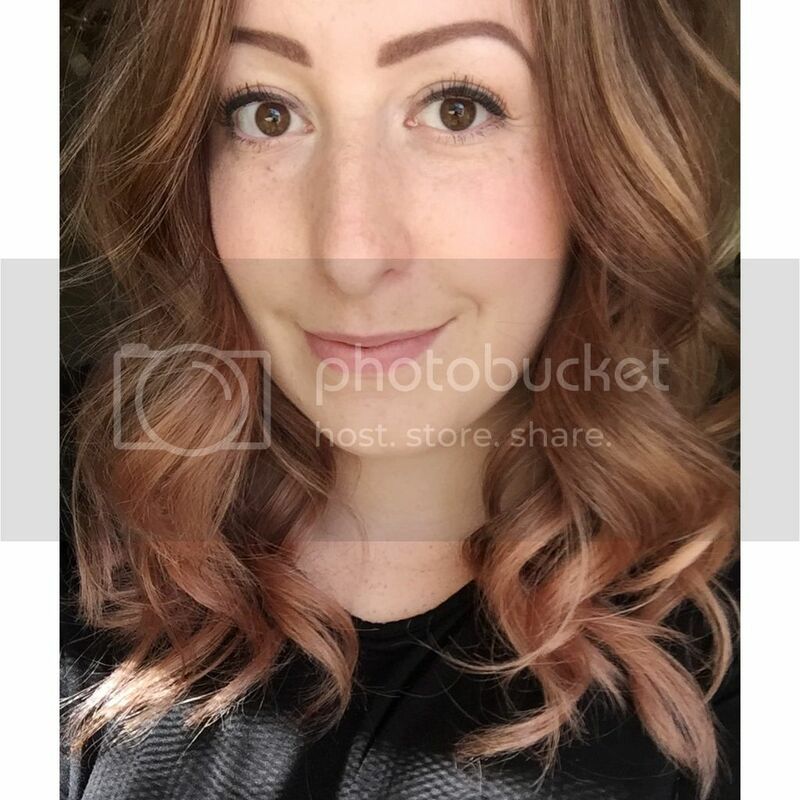 the real question now is…would you want me to do a tutorial on it?! i really want to…so if you think that would be fun to see then LIKE this post! when was your last disney vacation? how was it? what are your favorite rides? do you love disney as much as i do?! tell me in a COMMENT below! :0) Hope you have a great day.